What's ConvertKit and how do I use it? ConvertKit is email automation software that's incredibly easy-to-use. 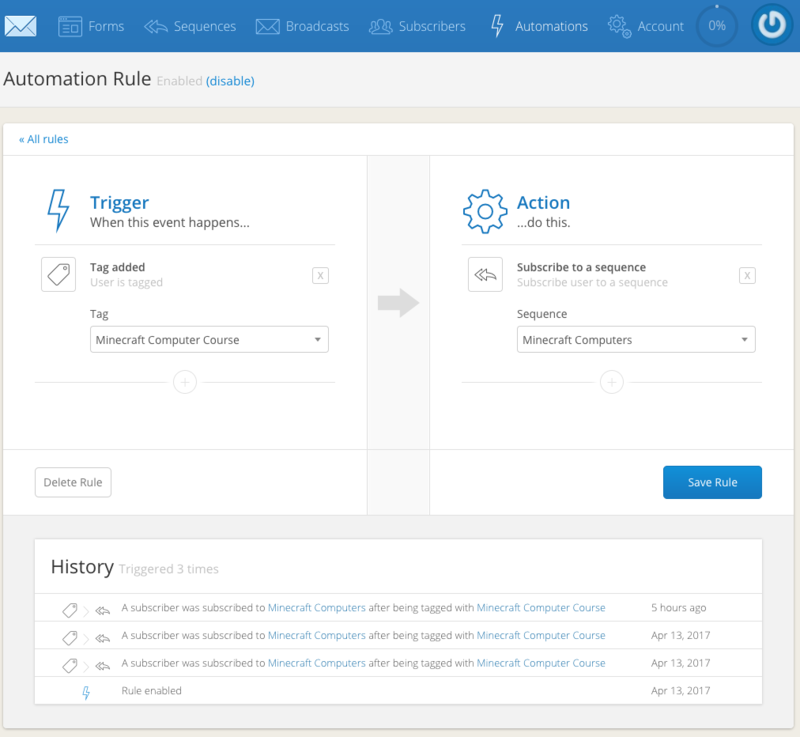 You can use it to set up newsletters, drip email marketing campaigns, and more. 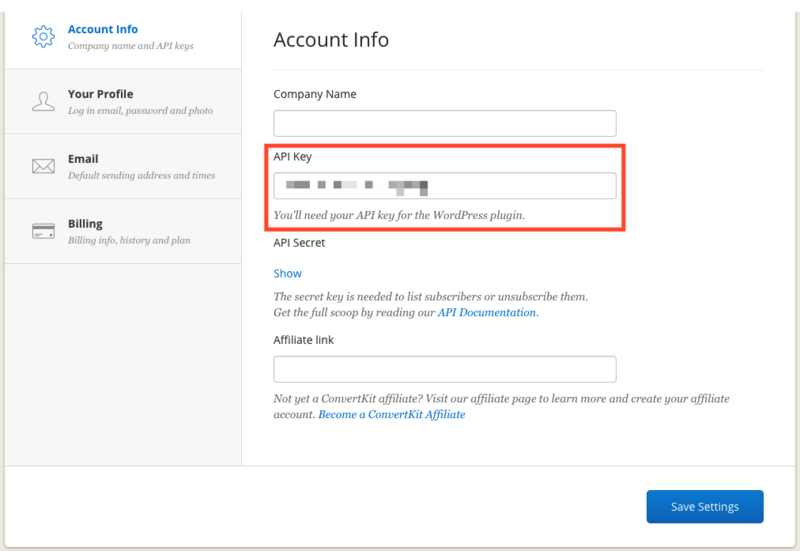 First, go to the Account Info page in your ConvertKit account. After you've copied your "API Key" to your clipboard, go to your Integrations page on Podia to add it. In ConvertKit, go to your Subscribers list. On the right-hand side you'll see a list of Tags you've set up. 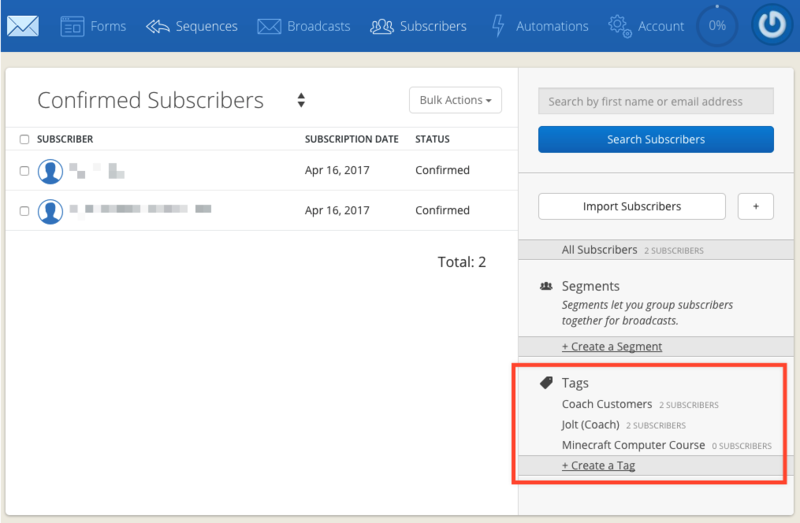 You can either click "Create a tag" or use an existing tag you've already created. To get the ConvertKit ID Tag, click on the name of the Tag, then copy the number directly after "subscribable_ids=" to paste into Podia in the next step. This process is very similar for online courses, digital downloads, and landing pages, but there are some slight nuances, which we walk you through below. If you get stuck or have questions, you can always email us or click the blue chat icon. Once you're logged into Podia, click on Products at the top of the navigation. Assuming you already have a product (online course or digital download, etc), click on the "Edit" link. That's all there is to it! Now when people sign up for your products or landing pages, they will also appear in your ConvertKit account. You can, however, set up Automations in ConvertKit to add people to Sequences.